Is your blog or website optimized for mobile devices? We discussed about enabling mobile version on Blogger though. Modern days, people are very fond of using mobile devices and even reports indicate that most of social networks such as Facebook, Twitter are mostly accessed via mobile devices too. Did you know that 43% of phones are smartphones and over 85% of them used to access the Internet? If your site is still in the waiting list to support mobile devices, you are definitely missing out the opportunity and turn your back to lot of users who could have make use of your content. Have you been capturing beautiful moments in your photographs or videos? Now you don't need to worry about purchasing a digital camera or video camera, as smart devices such as smartphones or tablet computers are capable of capturing and processing of still photographs and moving visual images. Hmm... Smartphones and photography. I wouldn't be surprised if you are murmuring "Instagram" right now. Aren't you? Hello, INSTAGRAMmers. Let me start with a simple question ~ "Do you use Instagram very frequently?". I don't know exactly why you use Instagram, but I know you are a Massive Photo Lover. 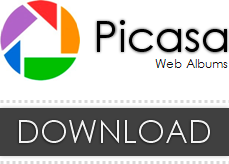 You might have 100s or 1000s of photos stored in there that you would love to display on your blog or website. Usually when you take photos with Instagram, they will save in your device too. You might save them somewhere else or just keep them in your Instagram account while deleting photos from your mobile storage. 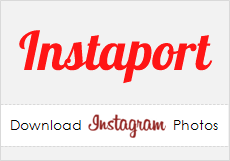 What if you wanna download photos in your Instagram account? Don't you just love staring at beautiful images or photos? :) I do and hope we all do. Usually we use images in our posts or articles. Don't we? Using relevant and meaningful images add more value to your content, and mostly it grabs attention of readers and helps understand something very easily and quickly than explaining something with 100s or 1000s of words. Hmm... Just imaging you gonna add an image to your post while writing a blog post and of course you know why you are adding it there. But for readers, not all but for some, they might be surprised what your image trying to express. Haven't you come accross such situations? Do you use images or photos in your blog posts? It's true that using relevant and eye-catching images tend to keep readers on your pages. Absolutely, a picture is worth a thousand words. I'm sure you have come across sceneries that cannot explain using words. Images help readers refresh their eyes and get attention instead of several hundreds and thousands of text does. It's a matter of attraction. But it needs to be relevant and meaningful. Else using images doesn't make sense most of the time. 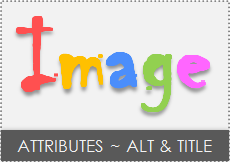 Instead of adding images to your posts or pages, have you ever thought how you can make use of the image HTML attributes? Do you take photos with Instagram? Instagram is a photo sharing platform and can be defined as a social network where users can engage with other Instagram users. Now this one gonna come in handy if you are already on Instagram and managing a blog or website. Else, of course you can try it out after having an account and playing with photos on Instagram. 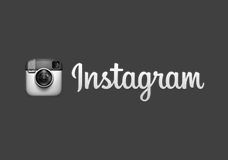 Dear Instagram fans, did you ever wanted to show off Instagram photos on your blog or website? 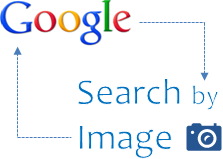 Have you been using images on your blog or website? I believe whether you are a blogger or a webmaster, you are familiar with the usage of images on a site. There is a higher tendency that visitors spend more of their time on pages with images or such media, instead of text-only pages. Isn't it obvious that our eyes go straight to images and styles on a web page as we scan through the page? 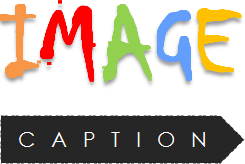 Now think, where would you use images on your blog or website? Can be anywhere - in posts, on header, on sidebar or even on footer. They can be banners, sponsor advertisements, follow buttons, site header or such common elements. Rather than displaying them with a static motion, wouldn't you love to add a cool effect for such images to improve visibility and grab more attention of your visitors? Have you ever wanted to use or share a screenshot of a web page? Yeah, I know you are thinking about it in this moment. There could be lot of reasons you might wanna use or share a screenshot of a web page. I've got few reasons for you right now. 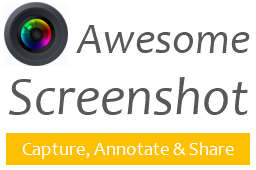 You can use screenshots in presentations, blog posts, documents, just to show interesting stuff to your friends or for the purpose of troubleshooting such as if you can't figure out something on a web page where others cannot see publicly or wanna point out specific error visually to someone else not with you. Depending on your blog theme and content, you might add images to represent the ideology of your blog. Or you would like to add images on your blog sidebars to make your blog more colorful and grab attention of your visitors. It may be a personal blog, you may write about travelling, you have a team blog or it may any type of blog. However sometimes you will find that its hard to display collection of images on your blog in a row. 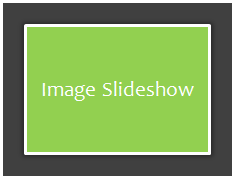 You can add standstill images on your posts or even wherever on your blog using HTML image tags. But what if you have large collection of images and how would you show off without spoiling the design? Recently you have seen that Blogger has made much improvements to give you modernize blogging experience. Blogger Dynamic Views, New Blogger interface are some of them and more to come. However lately Blogger introduced you a brand new feature - the Lightbox feature. Now this feature is enabled by default for all Blogger users. Does lightbox feature helpful for everyone? It depends. If you had your own method or lightbox solution to display images, then it will override by the default Blogger lightbox feature. So what if you need to have your previous lightbox solution or just need to continue blogging without this lightbox feature? Do you know what is the Favicon or Favorites Icon? Most probably you may have heard of it. Or may be you have seen it but don't know what it is exactly. Favorites icon is a simple icon represents a blog or website and you can see it on your browser tab, address bar or when you bookmark a website on your web browser. It's also known as shortcut icon or website icon too. Would you like to add your own custom favorite icon for your blog too? Have you ever attached images in your posts? Most probably the answer would be 'Yes'. 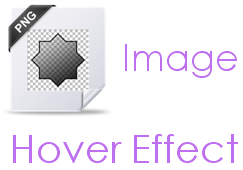 But after publishing your post, you may have seen that your image has a shadow and a thick border around it. Sometimes you may wonder how it appears after publishing the post, 'cause if you go back and edit your post again, you won't find any border or shadow there. So you have nothing to do at the Post Editor to remove border or shadow. You may find no clue about that. But that shadow and border appears around your images may still bugging you. Are you still wondering how to get rid of such shadow and border appears on your images in Blogger? As you wanna improve your homepage and not to make it heavy, you may use jump breaks in your posts, so full post or article doesn't appear on homepage. Else users may need to wait some time until your homepage get loaded and have to scroll long way down if you've got somewhat lengthy posts. 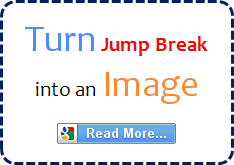 We have already discussed about jump break links and learnt how to customize the alignment of jump break earlier via How to Align Jump Break in Blogger post. As I needed to add needed to do customizations with it, I have managed to convert jump link which is a hyperlink into an image at last. Wanna know how? What is Favorites Icon or FavIcon? Favorites icon is also referred as Shortcut icon, Website icon or Bookmark icon. It's an icon associates with the blog or website to represent the site. You may have seen this icon respective to blogs or websites on your browser tab, address bar or when you bookmark a website on your web browser. It is another way of showing off identity of the website. Seems interesting? If you don't have a favorites icon for your blog or website, you can add your own favicon to your website in few simple steps. Wanna try it out?